Of a particularly interesting design concept, the UP Coffee Table, latest Duffy London coffee table, has an interesting and beautiful design. 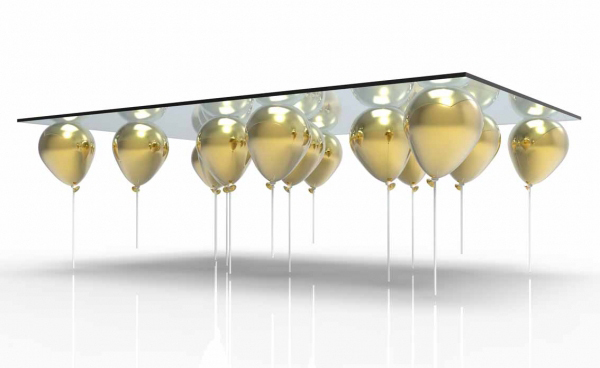 The fact of being supported by helium balloons, creates the illusion of a floating table. It will make you wonder whether you really saw the table float off the ground – even if it was just for a quick moment.